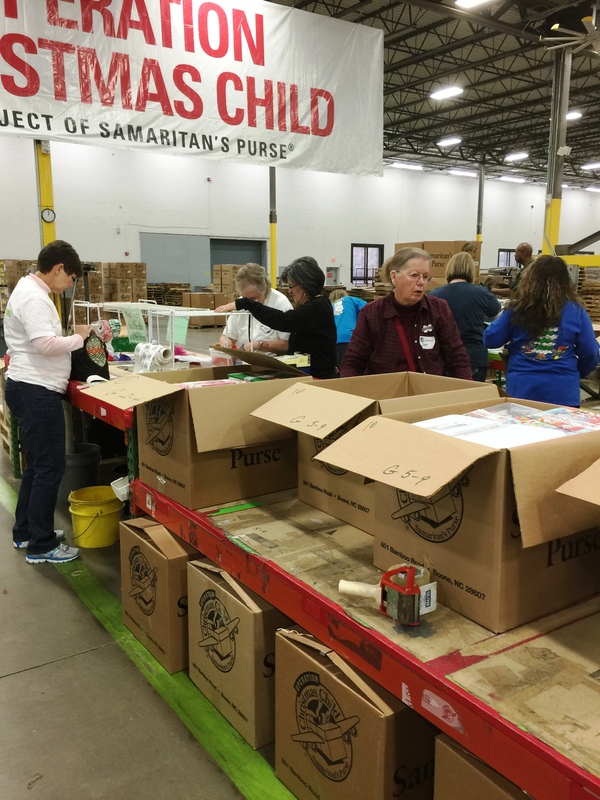 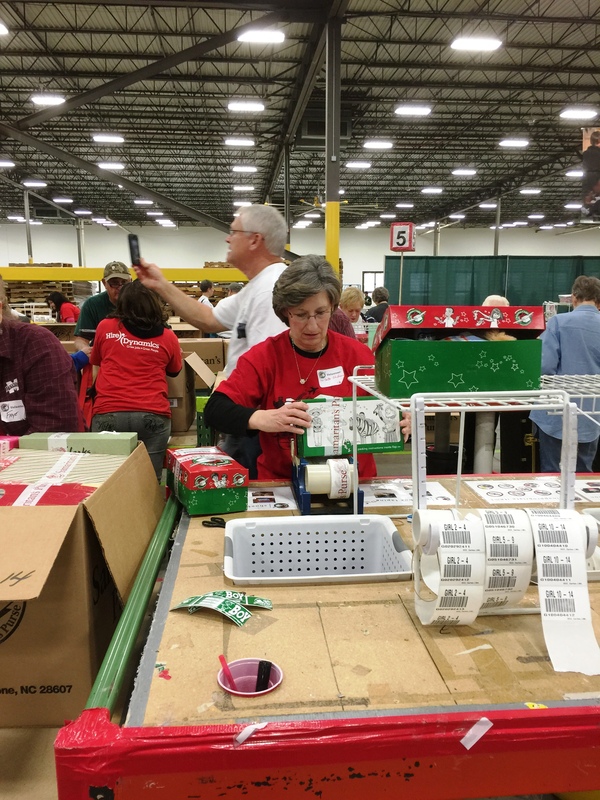 Webster County volunteers and friends working at the Operation Christmas Child Distribution Center in Atlanta Dec. 1-3, 2014. 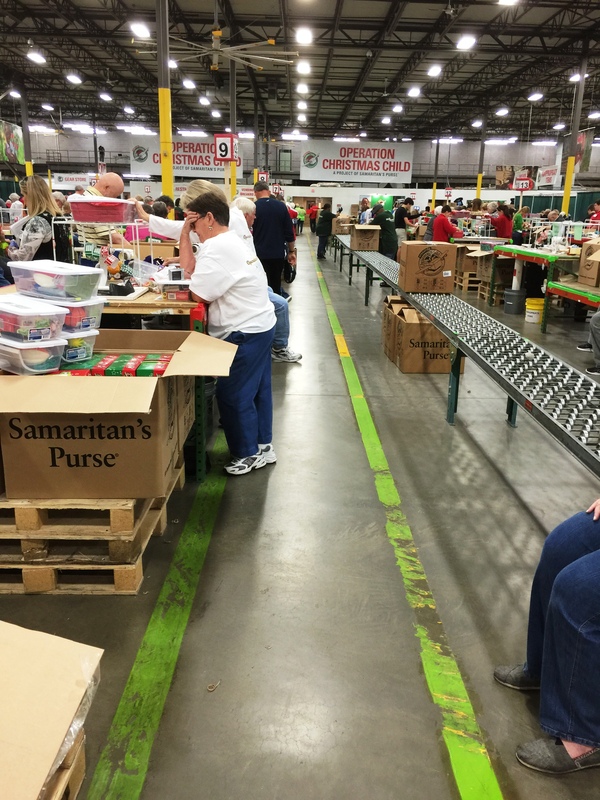 Webster County volunteers and friends working at the Operation Christmas Child Distribution Center in Atlanta Dec. 1-3, 2014. 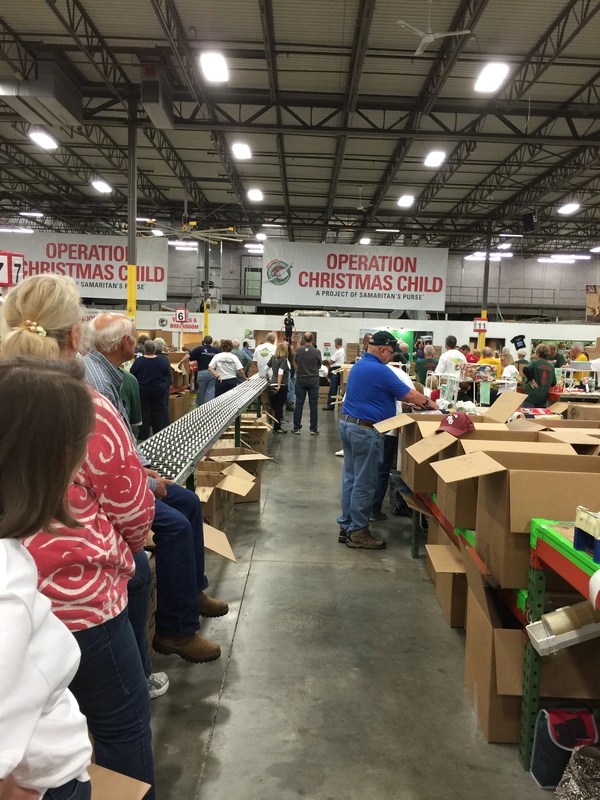 In this photo, they are stopping to pray for the child receiving the box in their hands. 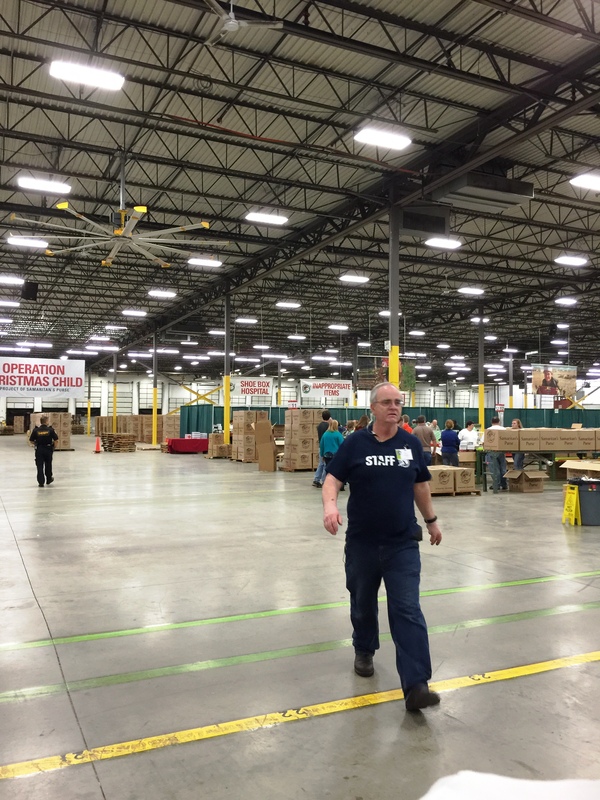 It takes a lot of space to distribute shoe boxes.